Commentary has a deep connection to the enjoyment of following any sport and right from the days when the only way of following a cricket match was through a radio, commentary has been a vital element of the experience of a cricket fan. Commentators explain the intricacies of the game, inform the viewer about certain things he might not be aware of and remains a companion throughout the duration of the game. At this point in time, there are plenty of commentators in the world who are rightly lauded for their work while a few others are often overlooked. Such commentators are often not as celebrated as they should be and here is a look at 5 of them, who deserves far more credit for the job that they do. It is often said that Australia missed out on a great captain when they decided to bypass Shane Warne and make Ricky Ponting their full-time captain. Warne had an outstanding tactical brain and that has been in view ever since he picked up the microphone a few years ago. 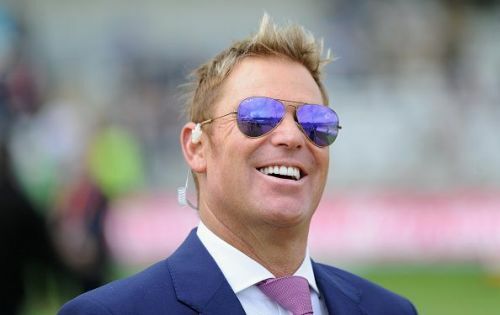 Warne's insights on the different aspects of captaincy, tactics and field changes have made him a distinctly interesting commentator to listen to. However, he does not seem to enjoy the sort of deference that is reserved for other commentators and part of that could lie in the fact that he is almost always an advocate of ultra-attacking captaincy, which sometimes can rub people the wrong way. That said, he is articulate and has a very good grasp of the game and is, without a doubt, one of the most underrated commentators in the world at the moment.